One of the federal programs affected by the partial government shutdown is the Supplemental Nutritional Assistance Program, or SNAP. If the shutdown continues into March, funding for the program could run out. And in Florida that means a lot of low-income and homeless veterans may have to fend for themselves. 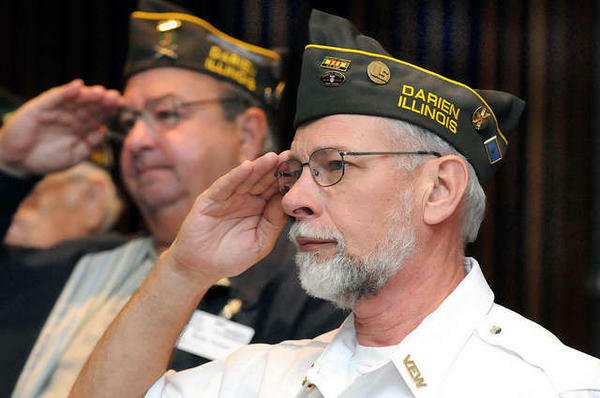 More veterans in Florida rely on food stamps than any other state. Every third Friday, volunteers at the VA mobile food pantry in Baldwin Park pack supplies for veterans. An older veteran shows junior ROTC kids how to pack clear gallon bags with carrots and potatoes and brown paper bags full of pasta. A line of older sedans and minivans has started to form while the volunteers were working. Cristina Mercado who runs the VA pantry says donations from nonprofits Soldiers’ Angels and Second Harvest can only feed 200 veterans so spots have been going fast. Mercado says demand for the food bank has grown since the fall. That’s partly because of an influx of veterans coming from Puerto Rico after Hurricane Maria.